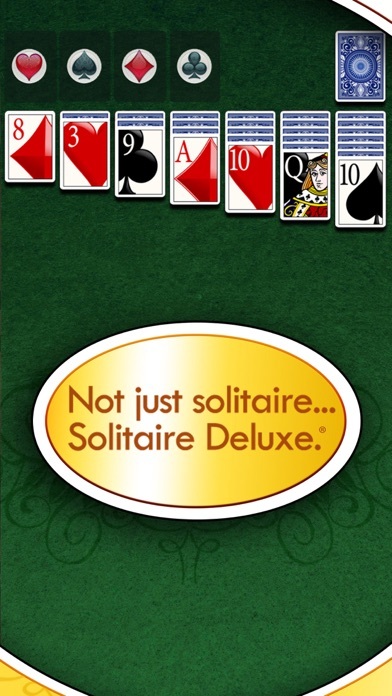 Not *just* solitaire… Solitaire Deluxe® 2! 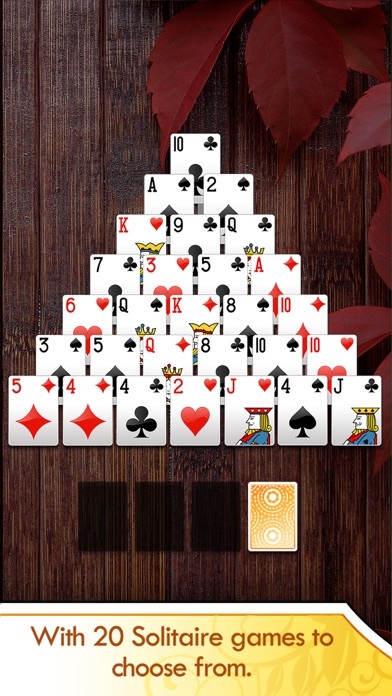 ***** “This is by far the best solitaire game in the App Store. Hands down.” -Crazyeightyeight ***** ""It’s the only solitaire game I play now.” -Katieibond ***** “Best solitaire out there. So much fun, lots of games to pick from, Thanks.” -Imaklutz ***** “The best solitaire app! …none even compare to this one.” -Megaamy ***** “this is seriously the BEST solitaire game ever.” -Jackie Scott ***** ""Such an addictive game!!! Cannot stop playing it!!!"" -Leeschutte ***** ""Good fun, good value, easy to use."" -MadMeg2 ***** ""I could get lost in this game for hours."" 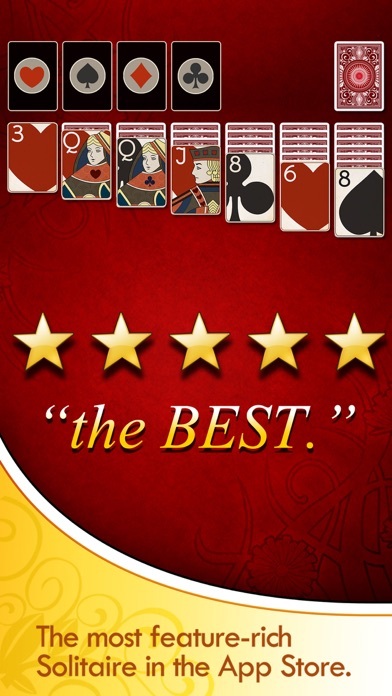 -DebBers1 From the most trusted brand in Solitaire, Solitaire Deluxe® 2 is the new, premium solitaire experience handcrafted for your iPad and iPhone. 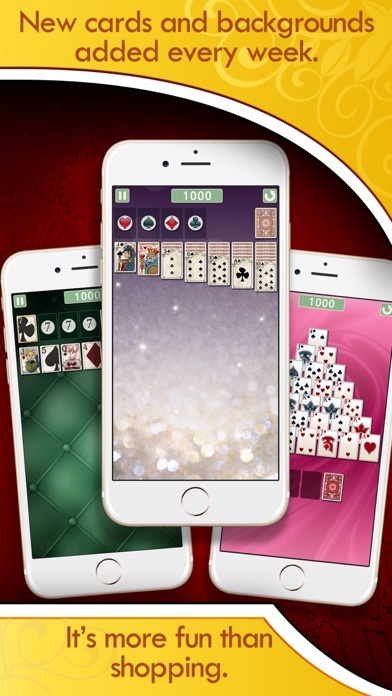 Solitaire Deluxe® 2 is the only leading solitaire app to give you over 20 solitaire variations for free, including classic and all of the most popular forms, and simple tutorials to help you out. 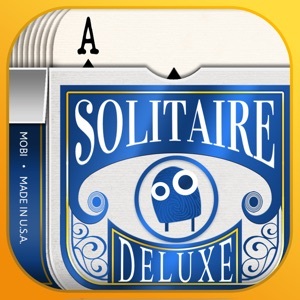 Solitaire Deluxe® 2 now has the world’s most fun leaderboards! Play with your friends and neighbors on a team, or compare scores with other players from around the world. The exclusive Currents feed in Solitaire Deluxe® 2 even lets you check Facebook while you play. See updates from friends, family, celebs, news channels and more… all while playing the 20 most popular types of Solitaire. And it’s brought to you by Mobile Deluxe, the company specializing in mobile solitaire since 2003. PREMIUM FEATURES -Draw 1 and Draw 3 Klondike… plus 20 others like Spider, FreeCell, and Tri-Peaks! -Exercise your brain: Best-in-class tutorials for all 20 solitaire variations. -In-Game shop for exclusive cards & backgrounds. -Winnable Deals – Thousands of guaranteed winnable deals for every game! -Beautiful HD Graphics. -Play with friends by signing in to Facebook, or play solo. -Hundreds of stickers and ribbons to collect after winning your favorite games! -Exclusive Easy Read™ cards. -The world’s first Currents feed lets you check Facebook news while you play. -Best-in-class customer care for any questions. 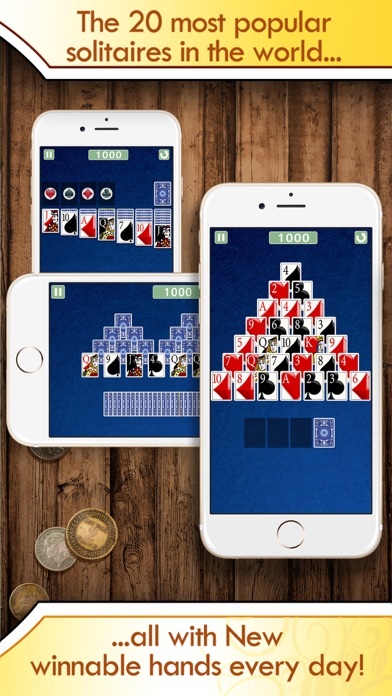 Solitaire Deluxe® 2 is the only leading solitaire game to offer Klondike (classic solitaire), along with the 20 other most popular solitaire variations in the world, including Spider, FreeCell, Tri-Peaks, Pyramid, Canfield, Golf and more. All of your solitaire favorites, and all with simple tutorials. And now it’s social: Have fun playing with friends, or play solo. Use the Currents feed, Facebook and GameCenter to keep up with your friends, or challenge them to the exact same deal you just won. Your mobile device has advanced… isn’t it time your solitaire did, too?